Mutants takes a rare trip to Englands great North East...Ask anyone about Newcastle and, odds-on, the football team (or soccer for our American cousins), Ant & Dec, Cheryl Cole, Gazza, Geordie Shore and T-shirts in winter are the first things out of their mouths. Fair to say, unlike London, Manchester or Liverpool, the North East metropolis isnt synonymous with electronic music. And you really have to ask yourself why because its provided some of Britains finest purveyors of dance; be it the legendary Global Underground, Shindig, The Middlesborough Empire, Tall Trees or Digital (the current jewel in Newcastles clubbing crown), the region has a dancefloor history anyone would be proud of. Pleasingly, this rich heritage isnt destined to become a footnote in history as its now bearing fruit, spawning a new generation of typically passionate sons and daughters eager to keep the flag flying.Felix Leiter is undoubtedly one such son; his love for the scene is boundless. In recent years hes established himself as one of the rare breed who can claim to be a true all-rounder of producer, DJ AND promoter, which he openly admits is a direct influence of his clubbing past, Growing-up in the region was ace. My mates and I were out every weekend. We were never short of options and that fun-loving Newcastle spirit always guaranteed a top night! And the influence of this local spirit also carries through to be heard in his latest offering, Feel The Panic. Alongside fellow Geordie, Marrs TV - aka Adam Burn - theyve created an energetic, euphoric tune thats under-pinned with a hard, determined edge; the sort of track that would go out on a winters Saturday in nothing but a T-shirt! 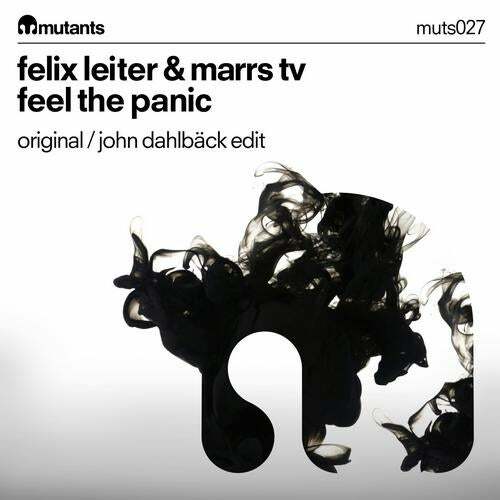 Weve both been big fans of John Dahlback, explains Marrs TV Adam, He always seems to capture a really tough, dirty sound that was a big influence and consideration whilst we were producing Feel The Panic.So, little wonder JD snapped the tune up for Mutants and deigned to create his own edit, which also marks his first appearance back on the label in a year. Happy days all round then, Geordie-styles!